In less time than it takes to write a check, you are now able to make your offering to Trinity by sending a text message to 810-285-7861. Simply send a text message to 810-285-7861 with the amount you would like to contribute (example: 25). Within a few minutes, you’ll be sent a text with a link to register. Click on the link and enter your cardholder name and debit or card information. 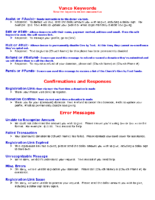 Once your registration is complete, you will receive a text verification and a receipt of your donation via email. For future giving, send a text with the amount you wish to give, and it will process automatically! You can even text “repeat” to make it a recurring donation. Give+ Text is one of the fastest, easiest ways to give. 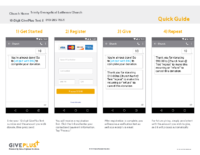 We hope you enjoy this new way to share your generosity, and we thank you for supporting the church.